Earlier this week, we have reported about the video surfaces on the web world, claiming to be discovered a new iOS 5 untethered jailbreak for iOS devices. We have informed the community and got words that they finally found out a exploit to jailbreak devices on the latest iOS 5, later we have found that the exploit can also work on iOS 5.0.1 and the unreleased iOS 5.1. According to the video, the jailbreak exploit discovered by the @pod2g, a French iOS hacker, or the member of Chronic DevTeam It appears that hacker has its own identity and not linked with the rest jailbreak teams, as the iPhone DevTeam and Chronic DevTeam We have seen in the past that iPhone DevTeam has good links with jailbreak hackers around the globe, because whenever someone discover any bug in iOS, directly report about security bug to iPhone DevTeam for jailbreak tool release or give rights to its discovery to include in their famous jailbreaking tools, the Redsn0w and PwnageTool. 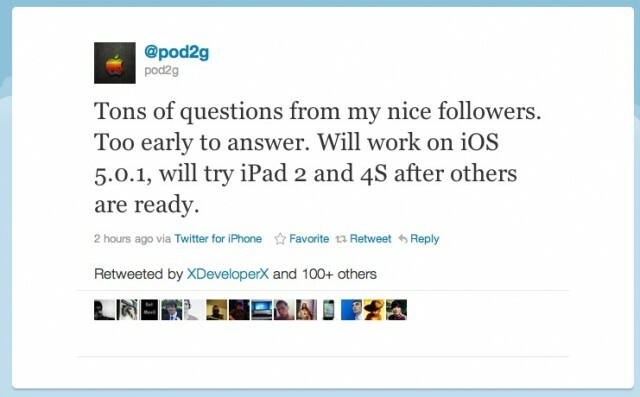 The hacker who discovered the jailbreak exploit, has just revealed on his twitter account that the new jailbreak exploit could be able to jailbreak the latest A5 devices as well, means you could be able to jailbreak the latest iPad 2 and iPhone 4S. 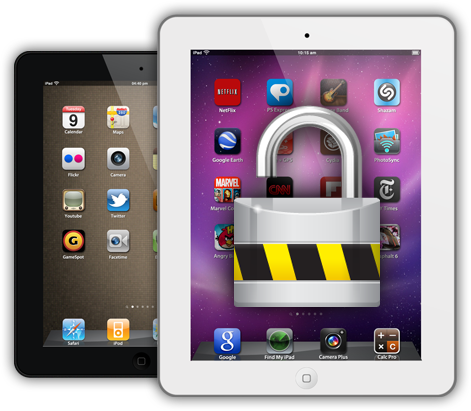 The A5 powered devices have proven impossible to jailbreak by available exploits, as Apple has tightened their security in iOS 5 the hackers have to work much more than normal to find out a untethered jailbreak for devices, especially for the A5 devices. So it obviously a good news for the owners of A5 devices that the new jailbreak exploit could be able to jailbreak device, and allow them to modify it according to their needs. Well, the hacker yet to announce any public launch date for the exploit, so we would suggest you not to bring your hopes to be high regarding the imminent launch of the jailbreak.